Improve outcomes and provide quality care at all points in the transitions of care. We provide the focused continuing education that home health and hospice providers need to be effective and remain compliant. No matter where your team of medical professionals are across the continuum of care or wherever they’re located, our breadth and depth of content delivers. Whether it’s being able to safely and effectively provide care in a patient’s home to deliver the pain management and symptom control that hospice patients need, we give your providers the knowledge and tools they need to deliver the compassionate care your clients' desire. 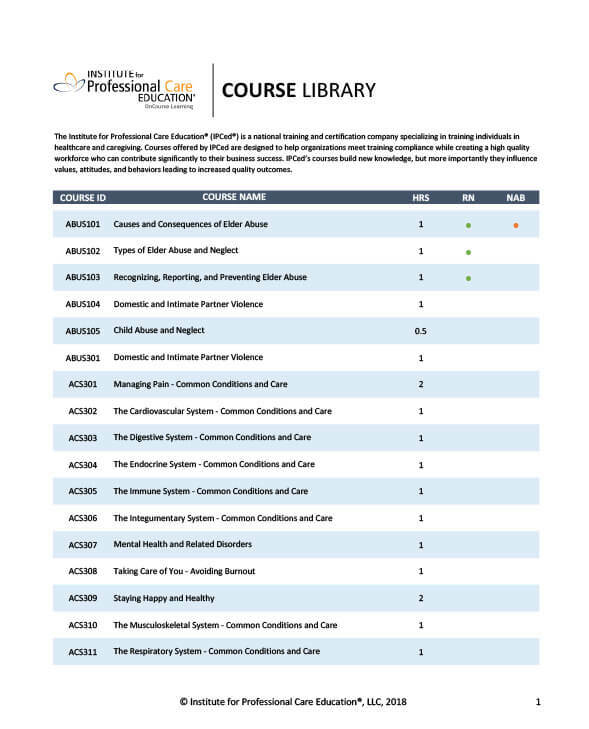 Meet your organization’s annual compliance needs and maintain regulatory standards with OnCourse Learning’s expansive education catalog. From meeting pain management initiatives to managing end-of-life issues, our courses help your entire staff improve their patient care skills – and provide comfort and compassionate care. Give your employees the professional development they need to increase critical thinking and stay in sync with the constant evolution in healthcare. "Very comprehensive, well-organized, with in-depth information." "Good training. Will recommend to others."